Suzuki Intruder 150 will be launched on November 7 and it is expected to get the Gixxer's 154.9 cc single-cylinder engine. The bike will be loaded with features like projector headlamp, LED taillamp, ABS and more. The Suzuki Intruder 150 is all set to be launched in India on November 7 there is a lot of anticipation around it. 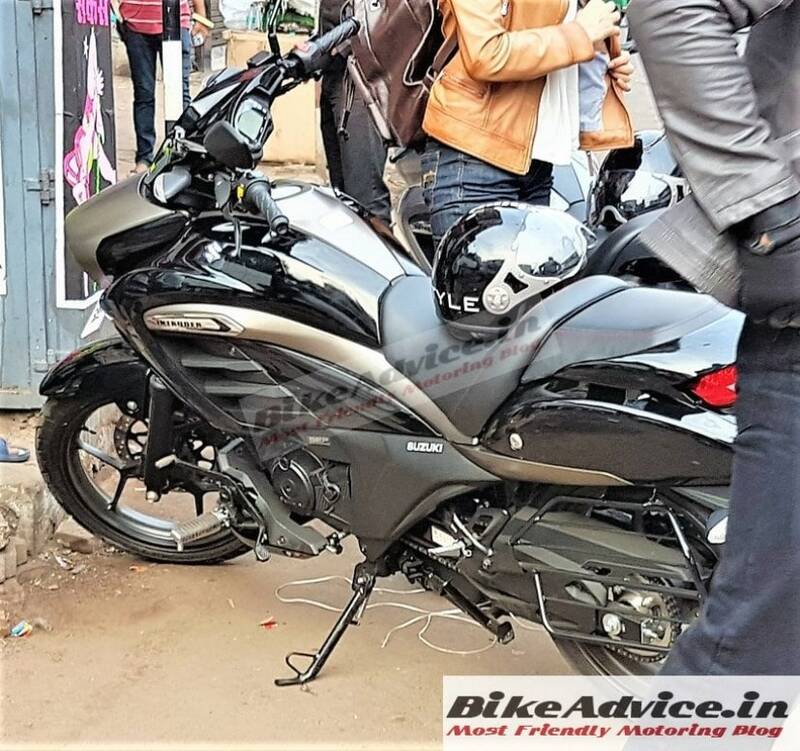 While we have already shared the brochure images of the new Intruder a few days back, now some spy shots of the actual bike have surfaced online and we have to say the bike looks a bit quirky. 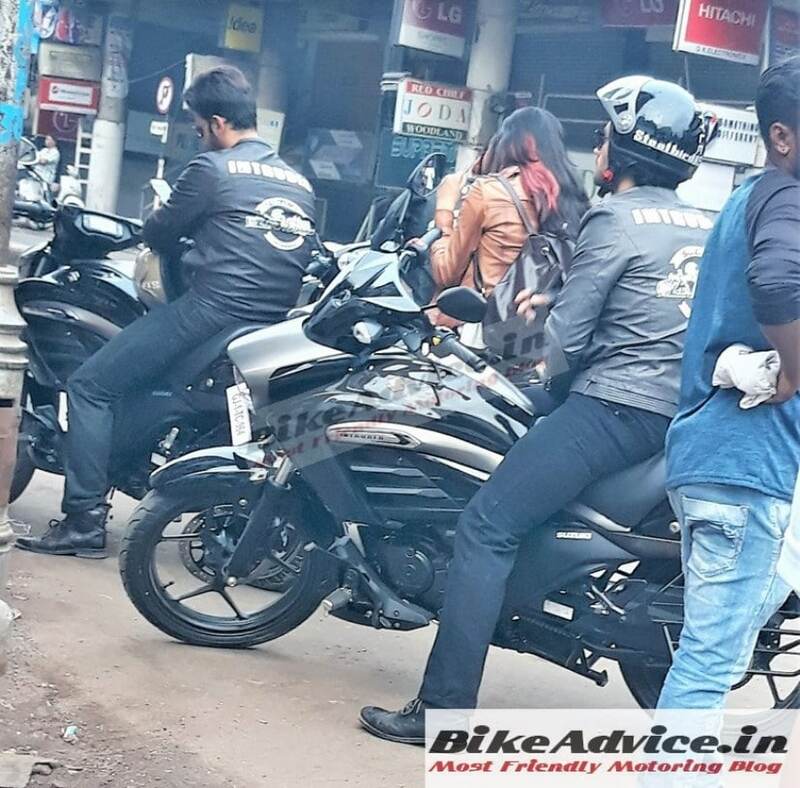 The new Suzuki Intruder was apparently spotted during an ad shoot in Gujarat, and what you see here is the fully kitted version with all the bells and whistles. Interestingly, the launch invite that Suzuki sent us had the words 'Suzuki Urban Brotherhood' and apparently the jackets these riders are wearing for the Ad shoot also appears to say 'Urban Brotherhood'. This could mean that along with the launch of the Suzuki Intruder 150, the manufacturer will also introduce a riders' group for the new bike. Having said that, we can only confirm this when the bike is actually launched. Coming to the looks, we have to say there will be a lot of debate over the appearance of the new low-capacity Suzuki Intruder. The bike has that butch look of its elder sibling the Intruder M1800R and in these images, we can see a lot of premium touches like the black alloy wheels, all-digital instrument cluster, disc brakes for both front and rear wheel and a nice bucket-style seat for the rider and a small pillion seat as well. The bike has a flowing design which is further accentuated by the bronze-gold stipe that runs along the profile of the bike and also the centre of the fuel tank. The bike also comes with large tank extensions that give it a muscular appearance but at the same time, the beefy rear cowl makes the bike look a bit out of proportion. 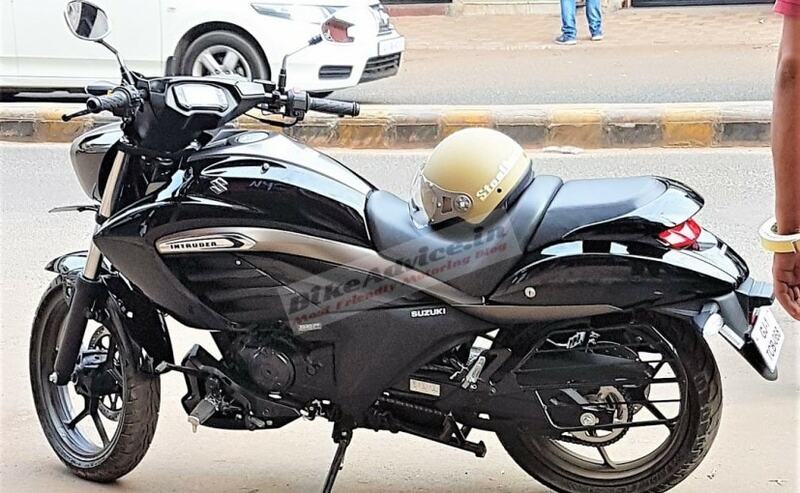 Overall the new Intruder looks too imposing to be a 150 cc in the images but we would like to reserve our judgment until we actually see the bike in flesh. According to the brochure that was leaked a few days back, the new Suzuki Intruder 150 will get the same 154.9 cc single-cylinder, air cooled, 4-stroke engine that currently does duty on the Gixxer. In fact, the engine makes the same amount of power and torque at 14 bhp and 14 Nm, but here the peak torque kick in at 4000 rpm, whereas in the Gixxer it comes at around 6000 rpm. This means the Intruder will have better low- and mid-range torque. The engine continues to come mated to a 5-speed gearbox. Upon launch, the new Suzuki Intruder will compete with Bajaj's Avenger series. We will soon be bringing you our first ride impressions of the new Suzuki Intruder 150 so keep watching this space.